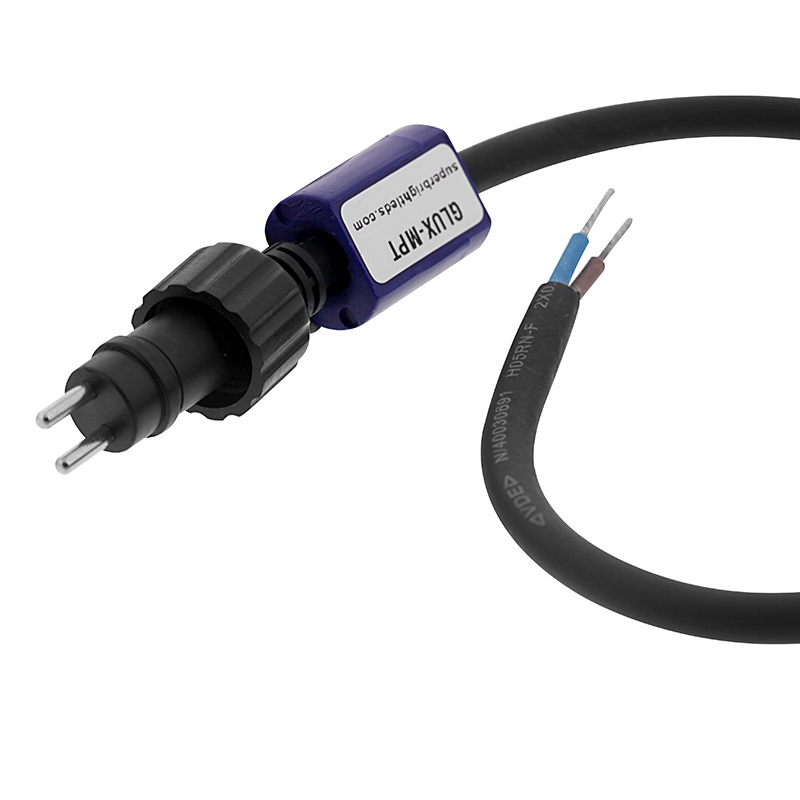 G-LUX series Male Pigtail Power Cable for wiring existing landscape lights into G-LUX plug and play landscape system. 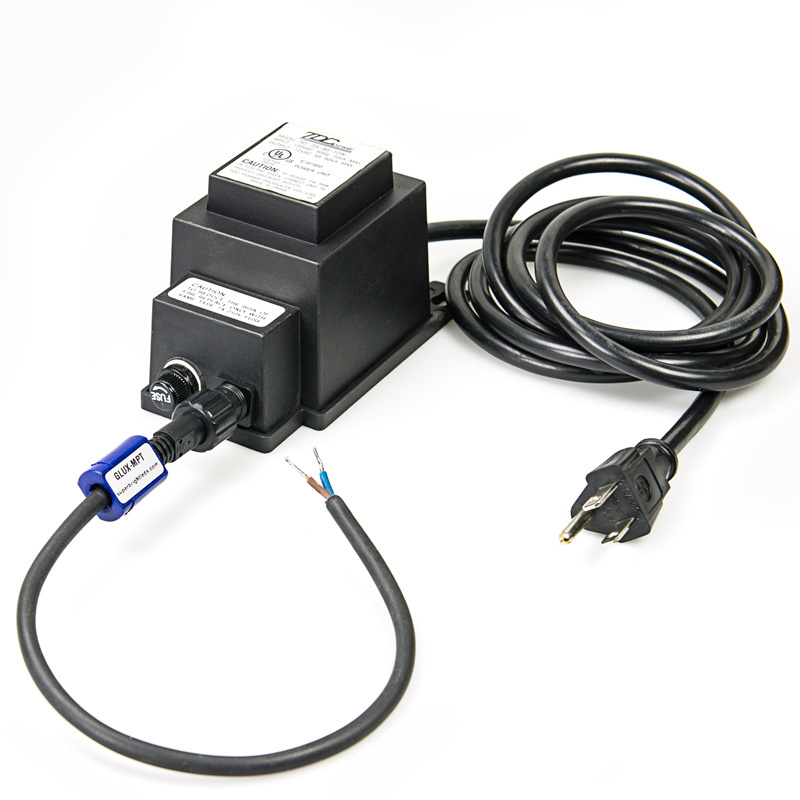 Compatible with G-LUX series plug and play power supplies, connectors and hubs. 18 gauge, 1 foot length. 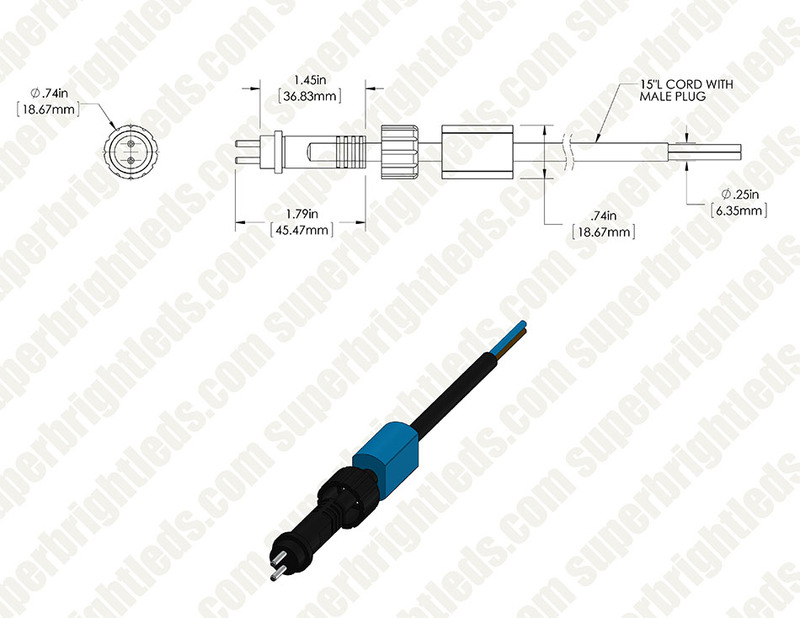 Not waterproof (IP44) but for waterproof applications use GLUX-WCC to create a waterproof connection. See all compatible G-LUX series products and accessories. Great connector makes cable connection waterproof! This is a really great adapter to hook up any length DC cable to a waterproof connector that one usually finds in landscape lighting. No fuss, just attach to cable terminals and your in business. Be careful though, there is both a male and female terminal. Make certain you get the connect configuration. I much prefer using these for attaching my outdoor 12v lights. They don't rust and resist all kinds of weather. Plus they are so easy to attach. Extending more lights is not a problem.